What can be better than reading the memoirs of someone you admire to get a glimpse of what happened during one of the most important eras of their life? Only one thing: reading their diaries. I am ashamed to admit that it has taken me three months to finish this 1,000-page book. Not because of its lack of quality, but because of my lack of free time. But here I am, having absorbed all that knowledge and ready to jump into Volume 2. If you are, like I am, a true Monty Python fan, you will enjoy every word of this book. This is not a book that tells you from a current perspective what happened. 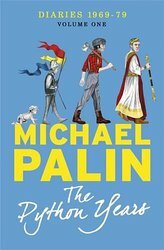 No, these are Michael Palin’s thoughts as Monty Python was being created and as it evolved, which makes it more riveting than any memoirs. 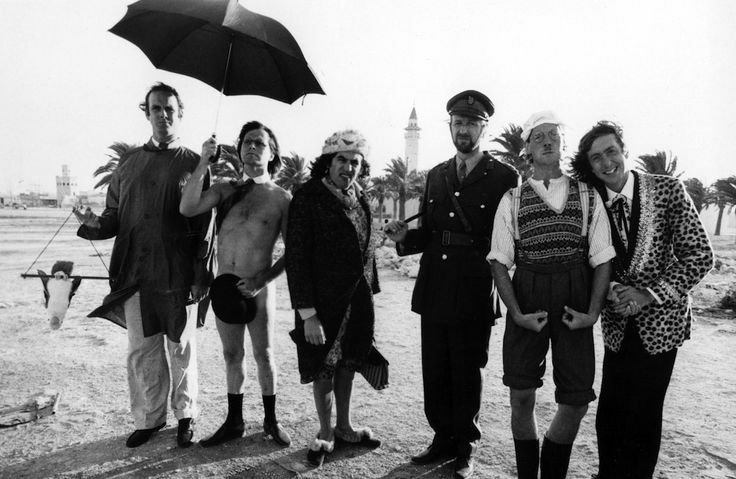 It starts when Flying Circus begins and it ends after the premiere of Life of Brian and the infamous argument in Friday Night, Saturday Morning. Because the great thing about his diaries is that they show what was happening every day back then. He shares the experiences of someone who is not aware of what is going on, someone who doesn’t realise that he and the others are creating instant classics. It is most endearing to read the entries that mention sketches as they are being written, without the knowledge of what they will mean in the future. Even the process of creating Life of Brian is priceless, witnessing the first meetings, the disagreements or the birth of legendary scenes such as Pilate’s Biggus Dickus moment, the stoning or the musical finale. What makes these diaries special is the fact that Palin talks about Python stuff at the same time he is talking about his personal life, giving everything the same emphasis. The illness and eventual death of his father, the birth of his kids, new friends he makes, Python meetings, Python fights, turning down roles, his wish of doing travel writing in the future, lunches at George Harrison’s house, sore throats caused by his Gumby performances… Everything gets the same treatment. As I went through the pages, the book left me thinking. Palin (who has always been my favourite Python) was 26 when Flying Circus began. 26 is the age I am now, and all I can think at the moment is that he (who was already married and with a kid, but that is a different era and I actually don’t envy that at all) was already forming one of the most iconic groups of all time, something that would change the meaning of comedy forever, something that would develop a new adjective to define itself and anything similar, something that would serve as a referent for future generations, something completely different. So I came to the conclusion that I, like many of us, have been wasting my life and need to look up to Palin, immediately. Let’s see what I learn from Volume 2. I cannot wait to read what was in his mind during the process of creating The Meaning of Life or filming A Fish Called Wanda. I just wish I hadn’t read The Python Years yet, so that I could read it again for the first time.